360-degree videos have become the most trending concept across the web since its release. Companies are competing for one another in creation of compatible cameras with different features. This camera glasses record the world while you are watching. The glasses are available in the market in different attractive colors. 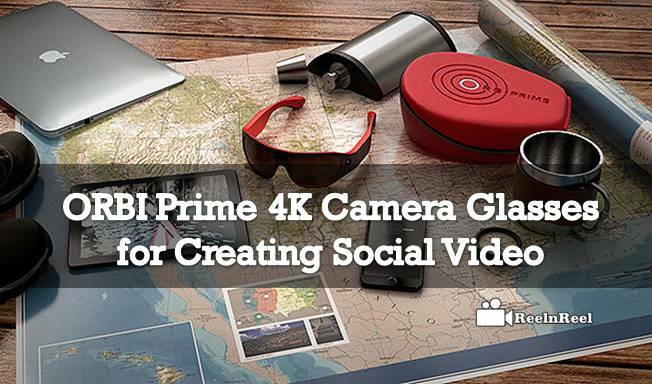 You can create a good social video with ease by wearing ORBI Prime 4K Camera Glasses. ORBI Prime had created a new sensation with the first 360-degree video recording eyewear which can capture the 360-degree videos as well as images with ease by just wearing a pair of glasses. It designed in a stylish way in which the ORBI Prime is the next development in virtual reality 360-degree camera. It offers the users with the hands-free solution which didn’t require great effort to capture the best moments. It consists of four cameras with a 4k resolution of 1080p in quality. They are very light in weight. It built with the durable polycarbonate frame which can record up to 90 minutes of recording time. It was built-in WiFi which is resistant to water with great stabilisation in videos. The real-time video stabilisation is a cutting-edge feature of ORBI Prime which delivers the smooth and high definition images. The lenses also provide the UV protection and sun glare protection. It is best for sports, trekking and social video too. It fits with the multi-sport helmets, and there is no need for the rigs, mounts and other hand holding equipment for this camera. The video stitching software can stitch up to 30 frames per second which provides natural viewing experience. The video stabilization avoids the shaking and panning. With ORBI Prime App, you can edit and share your 360-degree videos and images with ease. The editor can stitch your videos and progress bar indicate the progress. Users can add soundtracks and also have the option to cut and combine the content. You can simply share your video across the social platforms with share buttons. The ORBI Prime will become the first and next big thing in Virtual reality 360-degree video capturing devices.